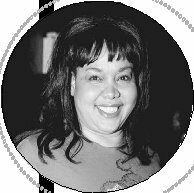 Deborah Gregory had already achieved success in several careers, including working as a fashion model, entertainer, and magazine columnist, when she was approached in 1999 by Disney to create a series of books aimed at young African American girls. Because of her flamboyant personality and her flair for words, Gregory was just the right person to reach a marketing segment that had been traditionally overlooked. The first in what would come to be called the Cheetah Girls series, Wishing on a Star, was released in September 1999. Since then thirteen more books have been published—one almost every six months—with each following the adventures of five hip New York teens who are trying to break into show business. Gregory has essentially created a Cheetah Girls dynasty. In addition to books, there has been a Cheetah Girls movie, which was released on the Disney Channel in 2003. There are also numerous Cheetah Girl products, including CDs, T-shirts, and fashion accessories, all guaranteed to give young girls "growl power." Out of the five Cheetah Girls, Deborah Gregory relates most to Dorinda because, like her character, the author grew up in the foster-care system. Gregory was born in Brooklyn, New York, where she, her mother, and five siblings lived a homeless existence on the streets. When she was just three years old the family was picked up by the police; Gregory's mother was institutionalized and the children were separated and placed in various foster homes. As an adult, Gregory never managed to locate her mother, but she remained close to several of her sisters. While she was growing up Gregory lived with four different families. She also lived for a time in a group home. To combat feelings of loneliness the young Gregory looked inward and found a fabulous world of fantasy. She would create outrageous outfits, all sewn by hand, and practice in front of the mirror for hours pretending to be a famous singer. "My dreams were never dreams that I thought could come true," Gregory explained on her Web site. "They served more of an escape from the extremely painful existence of growing up in foster homes with people who were mean to me and other foster kids." When she was eighteen Gregory finally left the foster system and struck out on her own. Realizing she had a flair for fashion she worked her way through school at the Fashion Institute of Technology, which is part of the State University of New York. Following graduation she headed for Europe, where she spent a year as a model. Upon returning to the United States, Gregory attended Empire State College in New York, graduating with a bachelor's degree in English in 1986.
" There is a little Cheetah Girl in every girl, no matter how big or small her dreams are." A born and bred New Yorker, Gregory settled down in SoHo, an artsy district of Manhattan, and opened her own fashion boutique. The boutique flourished for a few years, but after her business partner pulled out, Gregory was forced to close the shop. Jobless, she turned to some of the many contacts she had made over the years. One of them was the fashion editor for Essence, a leading magazine geared toward African American women. The editor had frequently used Gregory's designs in fashion shoots, and she suggested that the former boutique owner try her hand at writing. After a successful trial run, Gregory became a contributing writer for Essence in 1992. Eventually she was given a monthly entertainment-news column called "Chit Chat and All That," where she frequently covered stories about female singing groups. Gregory recalled her own early ambitions when she spoke with Linda Jones of the Dallas Morning News : "When I was younger I wanted to sing. I had all the clothes, I had the flamboyant quality, but I just didn't have the voice." That flamboyance served Gregory well in her writing career, however, and soon she was contributing to a number of top magazines, including Vibe, More, Us, and Entertainment Weekly. While Gregory was making her mark in the magazine world, Disney Publishing was tossing around an idea for a new book series that would center around five teen girls who form a singing group. Throughout the 2000s the teen-girl market had proven lucrative for Disney, a company that produced hit TV series, such as Lizzie McGuire, starring pop star Hilary Duff (1987–), and big-screen offerings, including Freaky Friday (2003) and Confessions of a Teenage Drama Queen (2004), featuring break-out teen Lindsay Lohan (1986–). This time around, however, Disney specifically wanted their teen characters to have a different flavor. They approached Gregory to pen the series, knowing she had her finger on the pulse of girl-group trends, plus they thought she had just the right sense of fun and flair. On her Web site Gregory claims she came up with the idea for the Cheetah Girls while lounging on her leopard-print bedspread, wearing leopard-print pajamas, and propped up against leopard-print pillows. "I realized I had the answer all along, right at my heels," she explained. "I guess you could say I created the Cheetah Girls right out of my leopard lair." Gregory's five teen characters all wear leopard and cheetah prints, and according to Linda Jones, they are "divas-in-training." Following Disney's request, Gregory made sure her five ninth-graders were from a diverse mix of backgrounds, although according to Gregory the publishing company had originally indicated that the girls should all be African American. "That's not my reality," she told Jones. "To me it was very important that the characters be multicultural because that is the reality of the world." Therefore, Galleria is African American and Italian; Chanel is of Dominican, Puerto Rican, and Cuban heritage; Anginette and Aquanette are African American twins who originally hail from Houston, Texas; and Dorinda, who grew up as a foster child, is not quite sure what her ethnic origins are. Although fashion, fame, and fortune are uppermost in the minds of the Cheetah Girls, Gregory felt it was important to fill her characters with a sense of morals. According to Essence, "These sisters are not all glitz and glare, they do have solid-gold values." In fact, Gregory created what is known as the Cheetah Girls Credo, a code of conduct that gives the teens strength and empowerment. Among other things, Cheetah Girls must show respect for their parents and others in authority; they support their family and friends at all costs; and they embrace, rather than judge, people who are different. A big part of the code is self-reliance. Gregory says: "A true Cheetah Girl doesn't spend more time doing her hair than her homework. Hair extensions may be career extensions, but talent and skills will pay my bills." 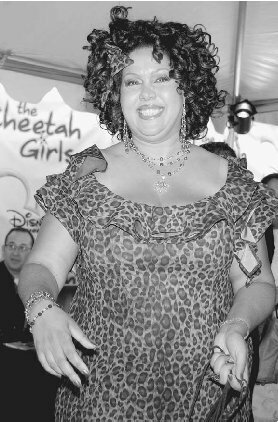 Deborah Gregory beams at the premiere party for the made-for-TV movie The Cheetah Girls. silly," she commented to Linda Jones. "The Cheetah Girls don't litter, they glitter. Sil-li-ness." To get her message across, Gregory built an entire Cheetah universe, filled with her own unique lingo. The girls struggle to make it in the "jiggy jungle," which is the place where dreams can come true, and they fantasize about making buckets of "duckets," or money. Most important, each girl has to tap into her own "growl power," to become a success. As Gregory explains on her Web site, "Talent is only one part of a very big equation out there in the jiggy jungle. You have to have growl power to show the world that you got it going on!" The first book in the series, Wishing on a Star, was released in September 1999 and was received with such enthusiasm that Disney signed Gregory to produce a new volume every six months. By 2005 there were thirteen Cheetah Girls books, including Growl Power (2000), Oops, Doggy Dog (2002), and Growl Power Forever (2004). There were also several Cheetah spin-offs, such as The Cheetah Girls Quiz Book (2005) and The Cheetah Girls Supa-Star Scrapbook (2005). Two of the cast members of The Cheetah Girls movie, Adrienne Bailon and Kiely Williams, know what it is like to be part of a singing group since they are two-thirds of the real-life R…B trio 3LW (Three Little Women). The original third member of 3LW was Naturi Noughton (1984–); Noughton was replaced in 2002 by Jessica Benson (1988–). The group was formed by Williams's mother, Denise, who was looking for an outlet for her talented daughter. Kiely Alexis Williams was born on July 9, 1986, in Alexandria, Virginia, but was raised in Annandale, New Jersey, along with her four sisters. She was surrounded by music from a very early age since her mother Denise was a music manager. Williams's first big break, however, was as an actress. When she was just five years old, she appeared in a television pilot directed by acclaimed actor Robert DeNiro (1943–). But by her early teens it became apparent that Williams's first love was singing. As a result, her mother Denise held auditions and hand-picked two other girls to be part of a group that would showcase her daughter's talents. Denise Williams became the group's manager and 3LW was officially launched. Adrienne Eliza Bailon adds a Latin flavor to the group since her parents are of Puerto Rican and Ecuadorian descent. She was born on October 24, 1983, in Ecuador, but she was raised in New York City when her singer-songwriter father, Freddy Bailon, immigrated to the United States to seek fame and fortune. Even as a young girl Bailon performed for family and friends; she also sang in the church choir. In 1999, Bailon's choir appeared at Madison Square Garden, where the sixteen-year-old was singled out by Latin pop star Ricky Martin (1974–), who was also on the bill. Martin invited Bailon to sing back-up vocals at his performance later that night. Williams, Bailon, and Noughton spent the early part of 2000 perfecting their sound and trying to land a record deal. They were quickly signed by Epic Records, and in a whirlwind of promotion their first album was released in December. 3LW's self-titled debut album sold more than one million copies and spawned such chart-toppers as "No More (Baby I'ma Do Right)" and "Playas Gon' Play." That same year 3LW contributed a song, "Til I Say So," to the soundtrack of the hit teen movie Bring It On they also made their acting debut, appearing as a fictional group called Blue Mascara on the Nickelodeon series Taina. In 2002, 3LW released their second album, A Girl Can Mack; just a few months short of the fall release, however, Noughton announced she was leaving the group. After auditioning thousands of hopefuls, Jessica Benson won Noughton's slot. For the next two years 3LW traveled the United States on promotional concerts, and their videos became staples on the MTV series TRL > (Total Request Live). In 2004, the group contributed a number of songs to the movie soundtracks of Love Don't Cost a Thing > and Barbershop 2. Bailon also took time out to appear in another Disney movie, playing a disc jockey in 2004's Buffalo Dreams. The trio plans to release their third album, titled The Point of No Return, in October 2005. 3LW, from left to right: Adrienne Bailon, Jessica Benson, and Kiely Williams. In 2003 Disney decided to cash in on the Cheetah craze by producing a made-for-television movie based on Gregory's bestselling books. To guarantee plenty of girl appeal, top teen celebrities were cast in the leads: Raven (1985–), star of the Disney series That's So Raven, played Galleria; Sabrina Ryan (1986–), fresh from the CBS soap opera The Bold and the Beautiful, was cast as Dorinda; and two members of the R…B girl group 3LW, Adrienne Bailon (1983–) and Kiely Williams (1986–), played Chanel and Aquanette. Aqua's twin sister Angie was not featured in the film. The Cheetah Girls movie was not generally accepted by critics, who dismissed it as shallow and rather cliché. Marilyn Moss of the Hollywood Reporter called it a "noisy, seen-it-all-before" film that is "frenetic from start to finish." But Gregory did not have critics in mind; she was writing for her audience—tween girls, who are aged nine to twelve and just on the brinkof being teenagers. Tweens loved the movie, just as they loved Gregory's books, and as Disney hoped, the Cheetah Girls proved to be profitable business. Fans snatched up CDs featuring music from The Cheetah Girls and bought DVDs and T-shirts— anything Cheetah-inspired. There was even talk of a television series based on the film, which would beco-produced by Gregory and pop sensation Whitney Houston (1963—). The Cheetah Girls may be fictional role models for young girls, but Deborah Gregory is a living, breathing inspiration. Through hard work and perseverance she survived the hardships of her Brooklyn childhood to become a bona fide star. In between churning out tween books, she is working on her first adult novel. She also recently launched her own design company called Cheetahrama, which offers original cheetah-licious creations. Despite her success, however, Gregory never forgets her roots. She is putting together a one-woman show called Leopard Lives that focuses on her personal recollections of growing up in the foster-care system. Gregory has also worked tirelessly as an advocate for other foster children. She is a member of the National Association of Former Foster Children,has been recognized by the New York City Human Resources Administration for her efforts on behalf of children, and has received a citation from the New York Association of Black Journalists for writing about the foster system in the United States. And she will continue to empower young girls through her Cheetah books. It is a good thing, since, as Gregory comments on her Web site, "Unless a girl lives in a glass house with glass slippers on her feet, life will require her to call upon her Cheetah Girl powers—her strength, vulnerability, and courage on countless occasions." Gregory, Deborah. The Cheetah Girls: Growl Power. New York: Jump at the Sun, 2000. Gregory, Deborah. The Cheetah Girls: Growl Power Forever. New York: Jump at the Sun, 2004. Gregory, Deborah. The Cheetah Girls: Oops, Doggy Dog. New York: Jump at the Sun, 2002. Gregory, Deborah. The Cheetah Girls: Wishing on a Star. New York: Jump at the Sun, 1999. Jones, Linda. "Deborah Gregory's Cheetah Series Provides a Plot Twist for Kids' Books." Dallas Morning News (May 3, 2000). Powell, Imani. "Books to Film: The Cheetah Girls." Essence (April 2003): p. 118. "What's New on the Bookshelf?" Essence (September 1999): p. 168. Cheetahrama Web site. http://www.cheetahrama.com/ (accessed on August 23, 2005). 3LW Online. http://www.3lwonline.cjb.net/ (accessed on August 23, 2005).